Two ingredients (seriously, only chocolate and water) and five minutes later, you will be eating The Best Chocolate Mousse of Your Life. I promise. And you don’t even need any fancy kitchen gadgets. 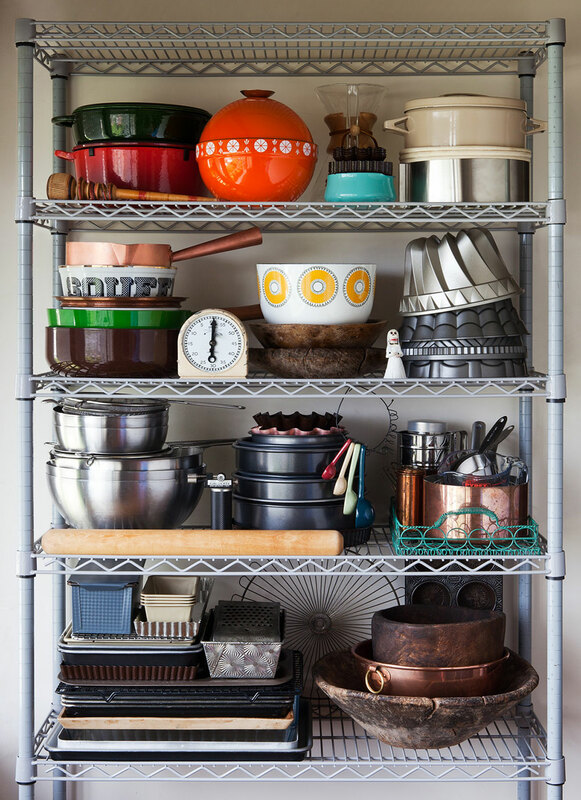 Patience and a bit of elbow grease are required, but we always need those in the kitchen, right? This amazing discovery was made by the famous French chemist, Hervé This, who is also known as the man who unboiled an egg. The recipe, which is also called Chocolate Chantilly, starts with melting chocolate in water and ends with whisking it until thickened. 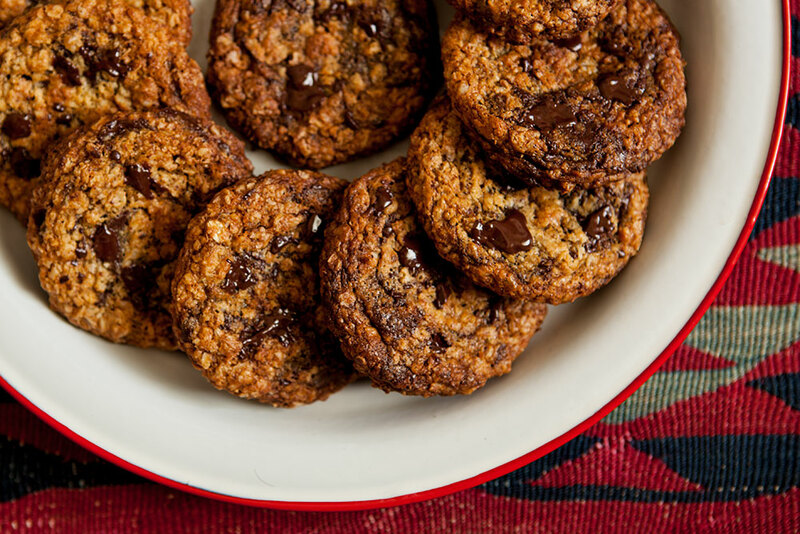 Sounds like it goes against everything we’ve been taught about working with chocolate, right? 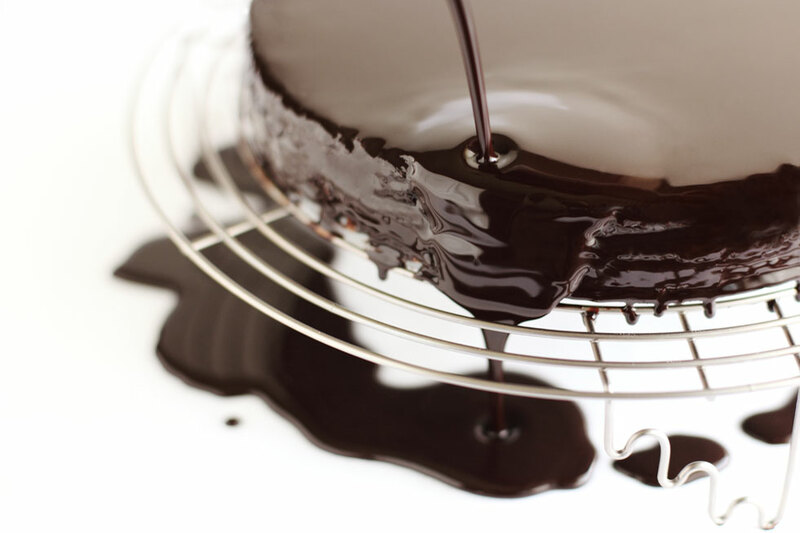 Sure, I’ve seen chocolate and water together in many recipes, but that was just the beginning of a recipe (mostly chocolate sauce), not all that you needed. So forget about everything you’ve been thought and try it. The recipe not only works, but also produces a mousse with the purest chocolate flavor ever. Since the recipe has only two ingredients, it all comes down to the quality of the chocolate you use. My favorite is Valrhona’s Guanaja, but if you have another favorite, feel free to substitute as long as it has 70% cocoa solids. If you find the taste of bittersweet chocolate too strong, you may add a bit of sugar. You can also flavor it with spices like cinnamon or cayenne pepper or add a tablespoon of liquor like Grand Marnier, Chartreuse or Tia Maria. Just make sure the amount of liquid stays the same (subtract the amount of liquor from water). Or boil the water first, take off heat, place a couple of Earl Grey tea bags, let infuse and then use it as your liquid. You’ll have Earl Grey scented mousse in no time. The most important part of the recipe is achieving the right consistency. I always use a wire whisk; this way you can watch the consistency closely and stop the second before it thickens. 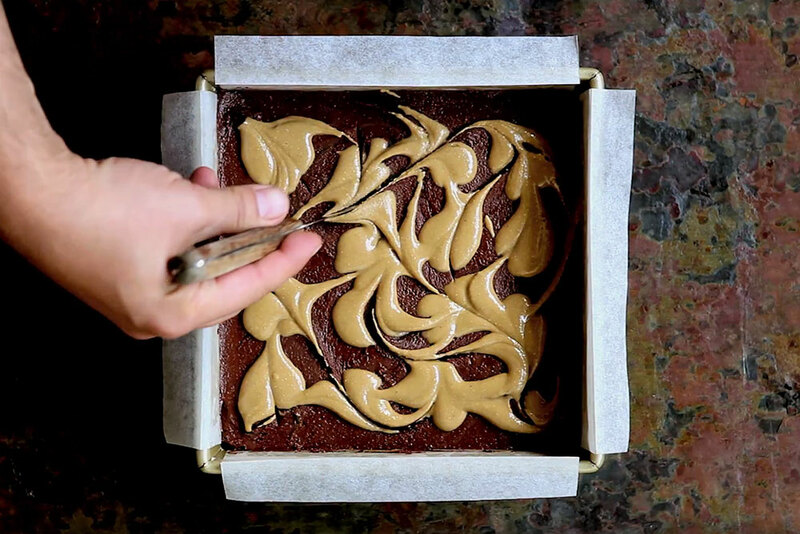 You can also use an electrical hand-held mixer, but since it whisks much faster than your hand, I’d recommend watching the consistency very closely. If you whisk it too much, the mousse will be grainy. Just take a look at the right consistency here and watch as Heston Blumenthal turns liquid into mousse. As soon as I hit the publish button, I’ll start working against a very tight deadline for the book. I don’t think I’ll be able to post another recipe until the new year, but it feels OK knowing I’m leaving you with a great one. Hope to be back with photos from the New Year’s Eve Dinner Party at the mansion (update: the photos are here!). In the meantime, you can take a look at photos from 2009 & 2010. 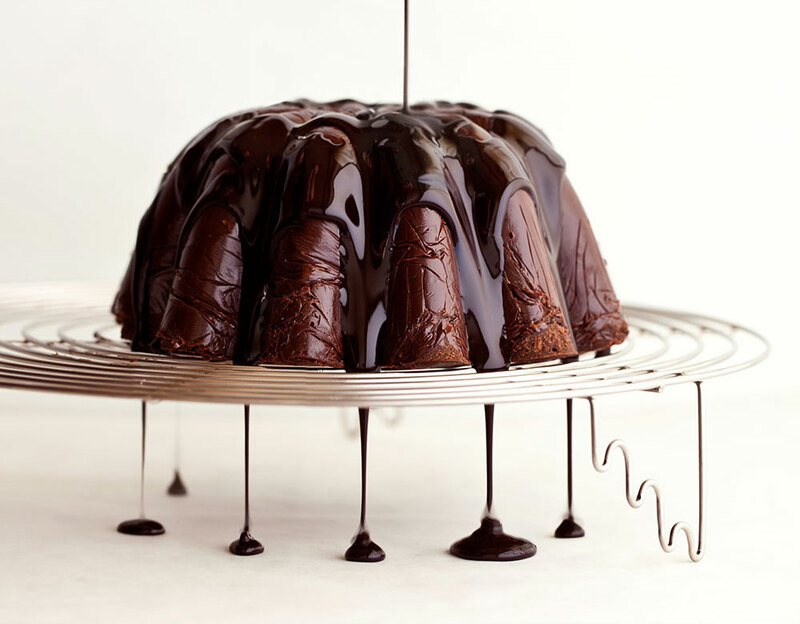 L’ORANGE: An orange-scented chocolate and almond cake covered with a lacquer chocolate glaze. BROWNIE WEARS LACE – The brownies I designed exclusively for DOLCE & GABBANA. Fudgy brownie + creamy hazelnut butter + chocolate lace. NO BAKE CHOCOLATE AND BISCUIT CAKE – A tea time favorite of Queen Elizabeth II. 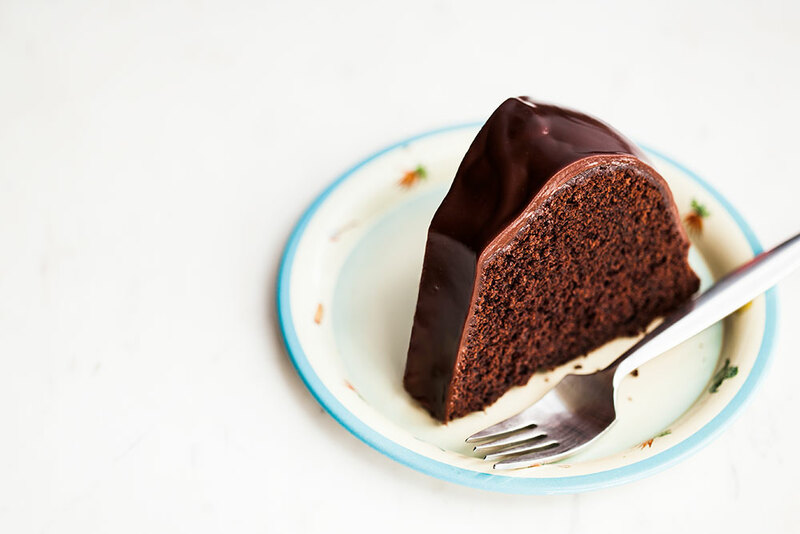 DOUBLE CHOCOLATE BUNDT CAKE with a sticky chocolate ganache glaze. That video with Heston Blumenthal explaining why this works is great. I’ll definitely try making this mousse. I would be crazy not to. I’ll try it with the Grand Marnier. Thanks Cenk. Happy holidays! Sounds impossibly easy!! I like impossibly easy in my desserts!! Thanks! Happy Holidays to all! Good idea! So simple! Thanks for sharing. Thanks for this recipe! It looks so easy (and tasty)! Oh my thank you for this! Just think of all the possibilities! Happy holidays! I just hate to wake up with your e-mail at 8 am. first i see the photos and then your expressions, the way you describe the recipe wake me up so badly. I know one day youll be the reason I gain weight. Is there any other way to reach you other than your twitter account or etc cause I am still waiting for your cookbook but i know you need more time to publish it and I have some questions specifically for the desserts. please help me!!! I am also asking it as your schoolmate:) and btw I’ll be the chief and really dying to cook and eat some proper homemade foods for the christmas after the months in US :)happy holiday Cenk! sanem – Thanks! You can send me your questions via the comment box (if it is about a specific recipe) or simply via email (address on my About page). I feel like it must be easier said that done… but that mousse looks great! Wow, that is so simple it’s crazy! I’ll have to try for sure. I just made this. It was amazing, I made some whip cream to top it off. It was super easy, my bowl wasn’t cold enough so it took a bit longer to thicken, but I next time I know better how to chill the bowl. Thank you for this! thats just amazing!! im thrilled to see a non dairy non eggy mousse!!! just one question. im a lil scared 70 percent would yield a lil bitter mousse. Do you reckon its possible to do this wiht say 50 percent? ninu – I haven’t tried the recipe with 50%, but the addition of sugar (which is stated as optional in the recipe) is pretty much the same thing as using a chocolate with a less percentage of cocoa solids. You can even add more than 4 tablespoons. This sounds so good… and without the addition of heavy cream like many mousses! Great recipe. I must admit I got lost in your blog. I kept clicking links and spent my morning enjoying your work. I adore chocolate mousse; and spend a lot of time trying to figure out the proper chocolate to make it out of, right now I’m enjoying Amedei. I look forward to reading your book. Thank you so much for sharing this recipe, it looks delicious! I will definitely have to try it. This looks delicious! I usually make something similar using rice milk, but water sounds even better! I’ll definitely have to give it a try. Thank you!! Cenk, I wish you 2011 is full with inspiring recipes like this and anything you ask for in your life! Best wishes for a wonderful Christmas and a Happy New Year. May peace, love and delicious recipes follow you always. Sounds so easy! Gotta try this holiday 🙂 Merry Christmas! mmmmmmm this looks sooo yummy i really should try it thanks.Merry christmas!! I’m all for recipes that do not consume much time, thanks. I think I officially hate you now. My sister sent me your blog and said you must try making this and this and this etc. Then I saw your pics and read your posts. I was green with envy. How could anyone be so talented in everything? If I was a US immigration official I would certainly be bribed to let you live in America on those brownies alone! I can’t believe it’s taken me this long to find tour blog. Am sure glad I did though and will certainly be back. Simple, easy, and delicious. The recipe is going to be one I use often. We’ll be following your future blogs. 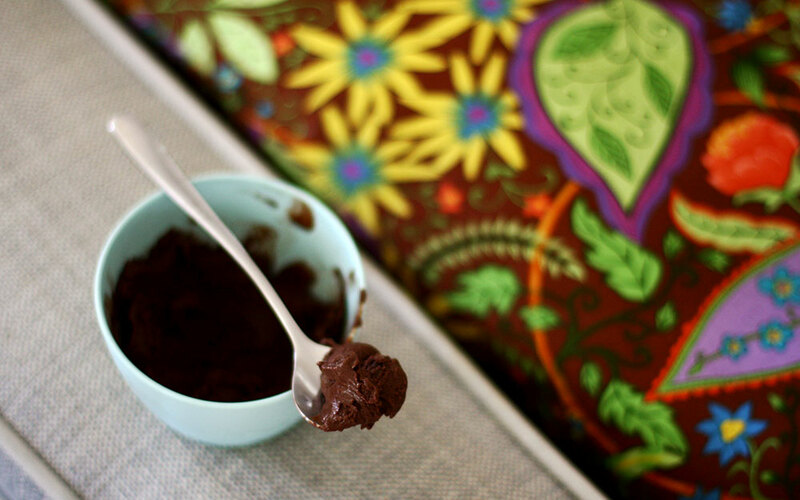 I was enticed – two ingredients and a workout to make a heavenly treat? I found the recipe last night and couldn’t wait to try it today with my fav 100% chocolate from Bakers and a little Stevia. – I was wondering, is it more like a chocolate cream than a fluffy airy texture? – mine turned out a bit more like a chocolate cream – very useful as no added fat icing I suppose, tasty all the same. Wow, this is crazy. I understand how it works but it’s still pretty amazing to see it in action! Definitely the best chocolate mousse…but only for serious chocolate addicts! 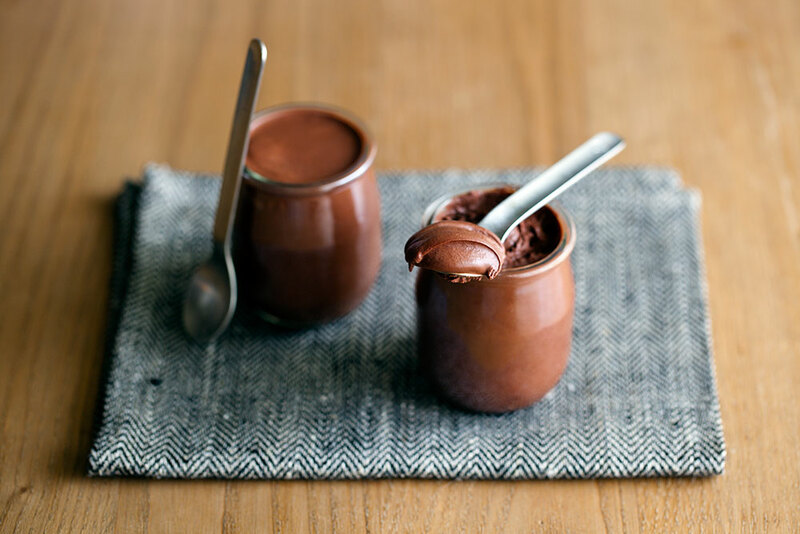 My sister tried a spoonful but said it was far too intense a chocolate taste for her – she prefers a traditional mousse with a more diluted chocolate flavour. I overwhipped a little (it goes from liquid to mousse so quick!) but the first cup wasn’t too bad so I didn’t mind, but the others I put in the fridge for later and they did set a little firmer. I put them in the microwave for ten seconds (so it only melted a little) and then used a tiny whisk to get it back, which seemed to work pretty well. Rhea – Yes, the mousse is definitely for chocoholics. Glad you liked it. I am a certified chocoholic and that mousse looks amazing! I am definately going to make it! Maybe with a splash of my beloved amaretto! Love this recipe! I too am a chocoholic! I am going to make this next weekend. I just made this chocolate mousse. It is very easy to make. And the taste is so pure and intense. Thanks for posting! so where do you get the chocolate you use in the recipe? I remember the brand closed its boutique in Turkey market:( help! roksi – Yes, they closed their boutique, but still selling (min order 3-5 kg). I order my monthly supply on the phone and they deliver right to my door the day after. Here’s the contact info: Ersin Bey 0533 965 9482. Wow. I must try this. I’ve just arrived in Korea, I’m staying for a year and am devastated by the lack of affordable butter and cream in this country. 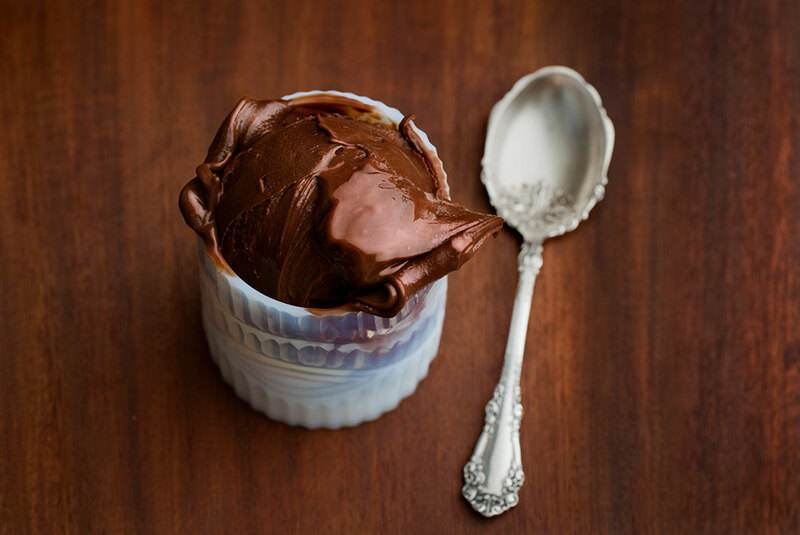 This recipe will make chocolate mousse possible, hooray! Might I ask where you got that jar, and those spoons? They are wonderful. I just made this – and it was as promised, easy and yummy! Next time though I will made sure I add the 4 tbsp sugar. the mousse is just too rich with just 70% cocoa 🙂 Thanks for the recipe! Btw, also used a hand mixer, got tired beating by hand. It worked well and the consistency was great the first time around. I guess I got lucky! Disastrous Valentines Day for the wife & kids… Made it with 70% BSWC and 4Tbl sugar. Used a whisk and then a hand mixer. Mixture never changed from a liquid to a mousse (became a slightly thick syrup). Used it as a fancy (and pricey) syrup for sliced bananas. Where could I have gone wrong? Leem – If the ingredients and measurements were right, the only thing I can think of is that you haven’t whisked enough. However, you mentioned you’ve also used a hand mixer so I really don’t know what went wrong. Did you whisk it on top of cold water and ice? Thank you for the recipe! I just made a half recipe for my 3-year old chocoholic and myself. It’s a fantastic recipe and yes, it really does work. The servings are very generous, and I found that a half recipe could serve 3 people. It took me about 3 minutes to whisk by hand, and then I was sore! This recipe is a great vehicule for testing different chocolates one can find nearby, and discovering those which become our favorites. Best wishes from Montreal! But guess what! My only chocolate at hand was Merckens Yucatan Vanilla, which is a semi-sweet chocolate containing 54% cocoa solids. It worked like a charm. I’ll procure some 70% to see the difference, in the future. My other tweak was that as tempting as it was to immediately eat this mousse when completed, I felt that 9 a.m. was too early to indulge. I was mature and waited until noon to eat my mousse as a snack 🙂 It had a lovely texture, so I see no reason why I can’t make it in advance from here on in. Thanks for this easy mousse recipe last year i made a Delicious mousse but i had to add eggs and cream it took a lot to make and i haven’t made it since, but it did turn out GREAT! I used it on cupcakes and i called it Chocolate Mousse Cupcakes it was a HIT! With this recipe i will made the Chocolate Mousse cupcakes often. Made this at a dinner party today, and it worked like a charm. I used 200 g dark chocolate and 200 g water. I agree with some of the comments above – it’s so impossibly rich that 400 g of it (that is 200 g chocolate + same amount of water) would easily be enough for 8-10 people! (And I’m a huge chocoholic who can easily have a bar of chocolate in one go). 🙂 The best chocolate mousse deyince Pinterest’ten, Cenk’ in website’ sine yonlendirilmek ne guzel! Sevgiler! Nese – Haber verdiğiniz için çok teşekkürler! The last mousse I made turned out like crap. I’ll give this one a try. It has to be better than the last one I made. i wouldn’t call this mousse. Real mousse contains egg whites to make it light and fluffy!!! I can imagine this looking very dense if not eaten straight away. This is just melted chocolate with a chunk of sugar. I’ve never had mousse. Not sure why, but I must get on that! I just made it and thought it was amazing. My cousin on the other hand didn’t like how intense the chocolate flavor was. I guess you really have to like chocolate. AHH-MAZEE-ING! I am severely lactose-intolerant and am always looking for recipes that are creamy and can fool any dairy-lover. Just made it with raspberry chambord and it came out wonderful. I used about 1/4 c chambord but may use more next time and decrease sugar.. Thank you! Wow! It works! I whipped it with an electrical whisk, pausing from time to time to check. And it turned out beautifully. My kids loved it, too. Despite the bittersweet chocolate. Next time I need something for a buffet, voilá! Quick, easy, delicious! Thank you! I made this today without the sugar (I used a little bit of agave instead) and it was incredible! I didn’t know making mousse was so simple. Cheers! could you email me and let me no if i can make this with milk chocolate brands? kate – I haven’t tried the recipe with milk chocolate. This is definitely easier than the recipe that the pastry baker used at the restaurant I worked in. Thank you! I saw this today and ran to try it, and it did not disappoint! This recipe is great for us kosher girls! I halved the recipe and used 1 cup of my favorite trader Joe’s chocolate chips and 1/2 c water steeped with mint tea… it was fantastic and made my apt smell delicious! I dipped strawberries, it doesnt get better than this. I haven’t tried the mousse yet, but I would like to know where those spoons are from? Jennifer A – Those spoons are from my Lufthansa collection 🙂 The one on the right is the oldest – probably from the early 90s. ok seriously? only chocolate and water? that’s amazing!! I have got to try this recipe! Where did you get the jars from? They are adorable! megan – Those are glass yogurt cups I brought back from Paris. I keep thinking this shouldn’t work! Whenever a DROP of water hits my chocolate when I melting it, it seizes my chocolate….so it doesn’t seem like it should work!! Amazing recipe. Thanks for the fantastic recipe! I also had a problem with it not thickening. Do you think it might be an altitude problem? I live fairly high up and I wonder if those having the same problem also live at high elevations. Even though it might slightly ruin the point of the recipe (simplicity), do you think a touch of heavy cream, an egg white, or something else might fix the problem? Mike – I don’t think it has anything to do with altitude. Did you use a handheld whisk or an electric one? It takes a bit of elbow grease if you’re doing it by hand. I’d also recommend weighing the ingredients as the ratio is quite important in achieving the desired thickness. Hmm… I did use an electric mixer and mixed for 15-20 minutes at least, and it definitely didn’t either go grainy or thicken up. I also did weigh the chocolate with a kitchen scale to be sure the amounts were correct. I used Ghirardelli bittersweet. I’ll have to give it a go again and see if it works better the second time around. By the way, and I know you’ve heard it countless times before, but your blog is phenomenal. 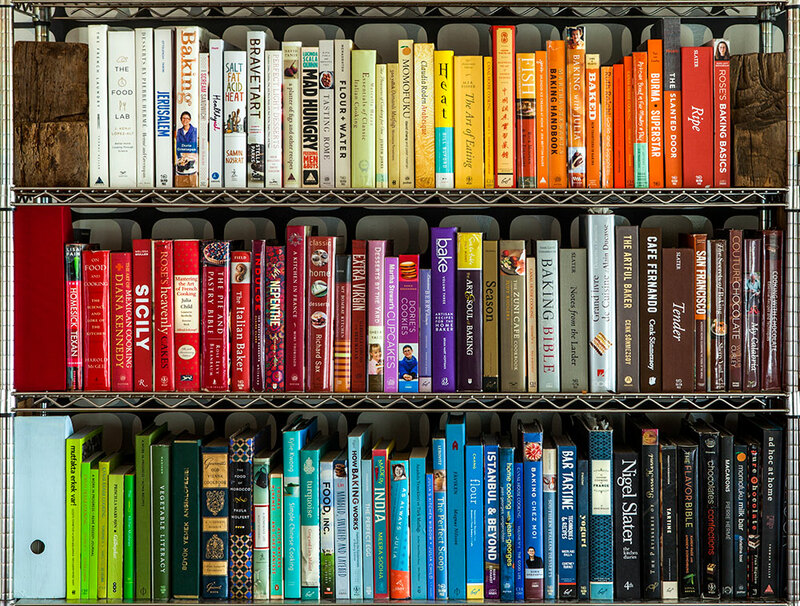 Your recipes are going to keep me busy for quite some time, both in the kitchen and at the gym! Mike – Thanks a lot for your kind comment. By the way, if you haven’t already, take a look at how Heston does it before your second attempt. Betül – Thanks for letting me know. This sounds almost unbelievable – perfect! Definitely going to try ! Grat recipe, I have done it twice, once with 70% cocoa solids, and one with 50% and it was a success both times. It is NOTHING like chocolate mousse though… Indeed, the French Who came up with it calls it chantilly, and that is exactly what it tastes and feels like: chocolate chantilly cream. Mousse has a completely different texture. Thank you for the recipe! My husband tried it out last week (thanks to the post on Cup of Jo) and it was delicious. For some reason it really hardened up as we were eating it…it started out smooth and creamy, and eventually got quite hard. Still yummy, just not a cream or mousse texture. Life Begins at Thirty, Right? – It does harden in the refrigerator, but if it hardened as you were eating it (I mean, right after you prepared it) than that might be the case. I do it with a hand whisk for this reason. Did you use a mixer? Thanks for the reply. We used a hand wisk and stopped wisking when it turned into a nice creamy mousse type consistency. As we were eating it (which was right away, of course!) it started to harden. Life Begins at Thirty, Right? 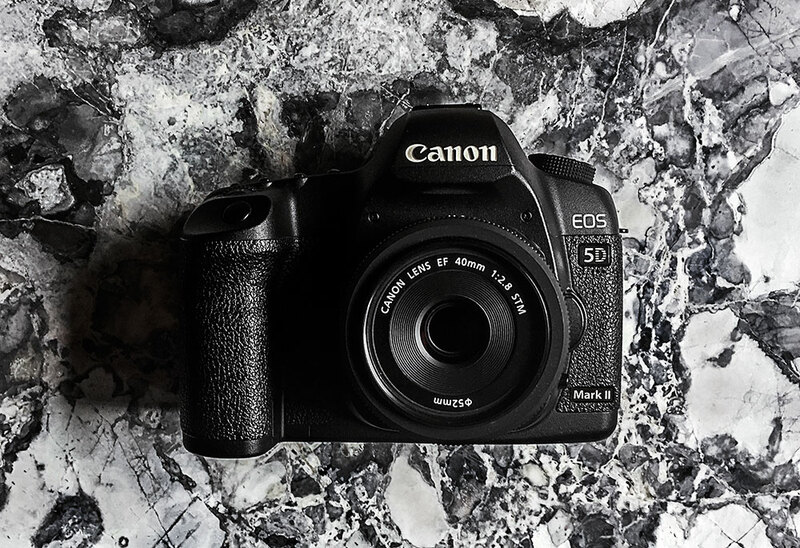 – Did you watch the video I linked to in the post? If not, take a look at how Heston does it. You’ll see that he stops whisking before the mixture hardens too much. Inanılmaz gözüküyor, sizce suyun bir kısmını çıkarıp Bailey’s koysam olur mu, tarif tutar mı? Irmak – Denemedim ama bence tutar. Cenk- I’m going to try this very soon. In order to minimize my chances of failure, what do you think of chilling the bowl in the freezer for a few minutes before whisking the chocolate? Tiffany – I don’t think you really need to chill it to minimize your chances of failure, but it will help speed up the process. The key is to whisk just enough. I highly recommend watching the video I linked to in the post. Take a closer look at the consistency when Heston stops whisking. Great idea and what I like most is that you don’t use raw eggs! Congratulations for the photos as well! just whisked for eternity and mine is still choco soup. i’m pretty devastated! how fantastic! Is this even possible! Running to try it now! made the chocolate mousse tonight with just chocolate and water; used the 3 to 1 ration and used high quality chocolate; it was as good as the last one I made using a traditional recipe; will always use this one; p.s. added some cayenne pepper and sea salt to the mix toward the end – very yummy; lots of room to play around. Can this be done with 85% chocolate? Meg – Did you weigh the ingredients? The water chocolate ratio is important. Dave – I didn’t try it with 85% chocolate, but I’m sure it can be done. It will be very bitter though. I did weigh them but I used semi-sweet chocolate instead bittersweet, perhaps that was my problem? Meg – Might be… There had been a few readers who made it with semisweet without any problems though. At any rate, I’d suggest giving it another try with bittersweet chocolate. I just melted a 9.7 ounces 70% scharffen berger w/ 4 tbs white sugar and 1 cup of water. I then whisked furiously. Tried 3 diff size whisks yet it was still watery after about 7-8 minutes. Tried electric mixer w/ 1 whisk attachment. Then 2 whisk attachments. Then full speed. After a few minutes it looked only slightly thicker. It stalled there, but I had hope. I went back to whisking by hand. I hadn’t scraped the side of the bowl yet as I was whisking in small circles. After scraping and 30 seconds of whisking it was noticeably thicker. Then progress stalled again until I scraped sides of bowl and then whisked. Shortly after it was just like in the video. Could that have been what stalled my progress (and maybe some others here?). Sean – Maybe. I always scrape the sides as I whisk. This looks fabulous! I have some Scharfenberger 62% that I’ve been wanting to try something special with. I see in the comments that you recommend weighing the chocolate and water but I’m unsure — are they supposed to be equal amounts by weight? Thanks! Bridget – You’ll use a bit more chocolate than water. 1 cup of water weighs 240 grams. Love the recipe,thank you. Just wondering if you have to eat it immediately. I found a recipe showing push-up pops using cake, and wondering if I could use this as a decadent filling. 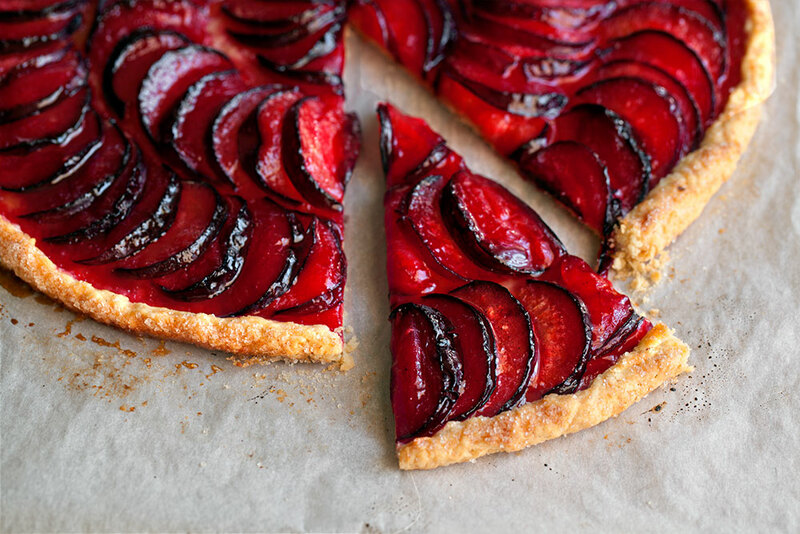 Cathy – It’s best to eat it immediately as it solidifies while sitting in the fridge. You can most definitely use it as a filling. I’d suggest preparing it the same day you plan on serving the cake. What a beautiful post with amazing recipes. I love it! Thank you for sharing; so happy to have found your incredible blog. leigh – Please take a look at the recipe above. Amazing. Thank you for this beautifully simple recipe. Just wanted to add that it shouldn’t be an altitude problem. We line a mile high and it worked perfectly. I just made myself some as a treat (since I’m sick I can eat what I want, right?). I’m. In. Heaven. Huge thanks for posting this! I used semisweet chocolate. I prefer bittersweet, but I just wanted to test the recipe – I was pretty skeptical at first. I chilled one bowl with water/ice (didn’t really care about the second and the whisk). It took me just about a minute or two to get that beautiful consistency. Oh, and my mixing/whisking bowl was aluminium. Kate – Glad you enjoyed the recipe. And thanks a lot for the detailed notes. Can you please provide measurements for this recipe. It looks so sumptuous and I am dying to be trying the end result but i don’t really see a physical recipe posted. Thanks! 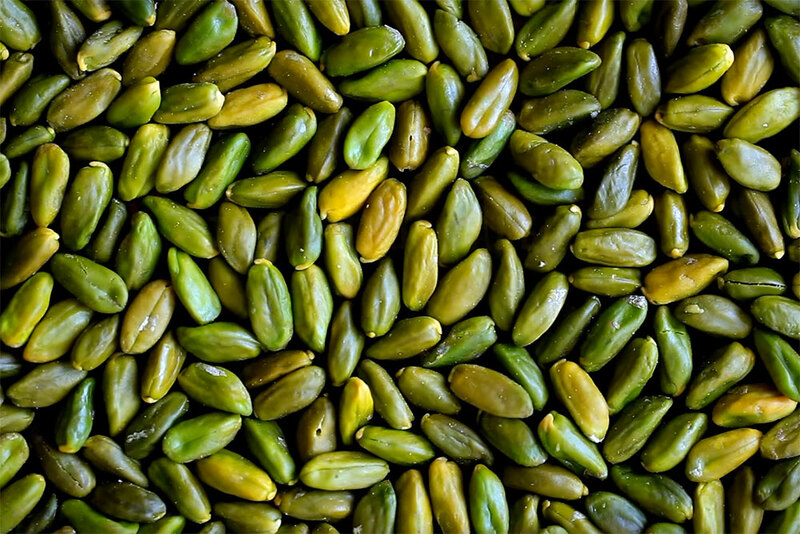 Moussia – The recipe is above, right before the comments. Happy Phi – Those are actually glass yogurt containers. I had one every day during my Paris trip, washed them all and brought back with me to use as props. I love your horribly sweet blog! Everything looks delicious! Whipped up my first batch of ‘The best chocolate mousse in the world’ yesterday and it was pretty spectacular. I had to use Lindt 70% chocolate as unfortunately I can’t find the Valrhona’s Guanaja chocolate you recommended in Australia. If anyone in Australia has come across it please let me know as I would love to see the difference in taste. Absoutely love your Blog, can’t wait to try more receipes !! Hi! I just tried this recipe today and the texture was just as you promised. It is indeed very intense and I was wondering if you can use a chocolate with a lower % of cocoa solids? The recipe is pretty specific about using 70% but I’ve read reviewer comments elsewhere where they say they’ve made it with a mixture of chocolates or even milk chocolate. Would that really work? Thank you! Monica – I didn’t try the recipe with a different type of chocolate, but if there are others who have been successful it might worth a try. Hi. I tried this last night with Lindt 70% chocolate. I halved the recipe and it didn’t make very much, but it is so rich you wouldn’t want to eat a lot anyway. I followed what to do exactly and I had some troubles. After I had melted the chocolate and water, I put it into the bowl above the ice and started whisking (by hand). It did thicken up a bit, but not to a mousse consistency. It was more like a chocolate sauce. I then used an electric beater and did that for about 5 minutes. It never went grainy, but it didn’t thicken either. I gave up after this, but I discovered a nice alternative. I mixed a spoonful of my ‘mousse’ with a spoonful of vanilla yogurt. It was delicious. As the chocolate was fairly bitter, the yogurt worked well with it. I put the remaining ‘mousse’ in the fridge to eat later. When I woke up this morning I found that it had thickened by itself and is the mousse consistency. I guess the cold environment helped the chocolate set. It is amazing. Very strong, but so smooth. The mousse recipe totally does not work. Totally. Jenn – It does work. I’ve made it a dozen times. Please also watch the video as Heston turns liquid into mousse. Are you weighing the ingredients? If yes, then make sure to have lots of ice and ice-cold water under the mixing bowl. If your arm gets tired, use a hand-held mixer. absolutely love the way you write!! great blog!! Beautiful chocolate treats! I want them all! First time on your site. I think Pinterest led me here. Mousse without milk or whipped cream, this I’ve gotta try! Love all your pictures. 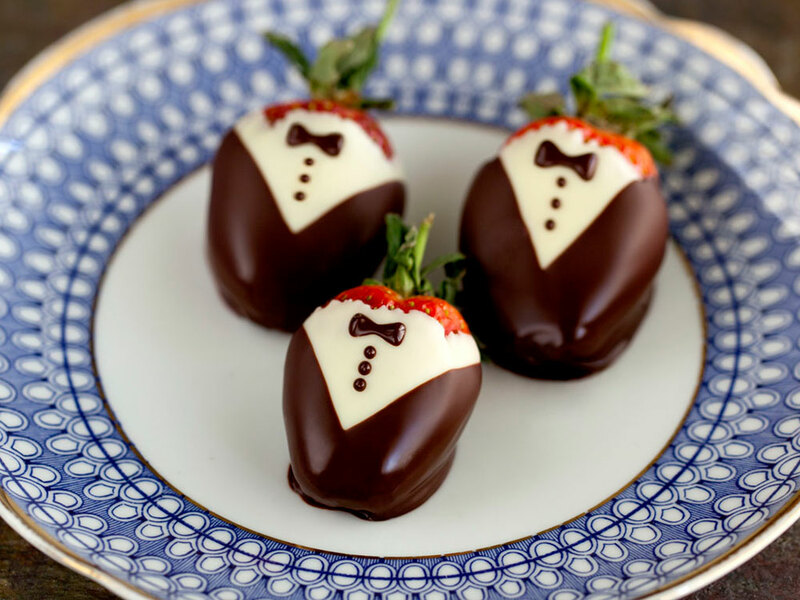 You’re so, so creative … that gorgeous lace & the cute tuxedos! Argh, I’ve been meaning to try this recipe for over a year, finally made it last night – and, chocolate soup! Really delicious chocolate soup, almost cream-texture chocolate soup, but even after 30 minutes’ whisking, soup it was. No idea what could have caused it as I followed the recipe to the letter. 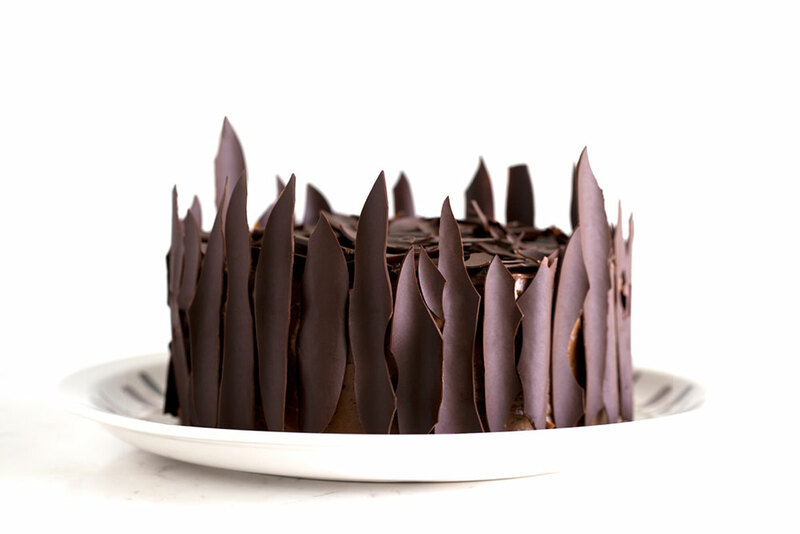 Except I used Lindt 70% because I couldn’t find Valrhona – but I didn’t think that would make a difference. Fiona – That shouldn’t make a difference. Did you whisk it on top of lots of ice and cold water? You can also try freezing the mixing bowl prior to whisking – that will also shorten the time for it to thicken. Wow, I have to try this recipe. It resembles water ganaches from Paul A Young in London, doesn’t it? Worked perfectly although I think my arm might fall off! So yummy thanks for sharing! Looks great. I’m about to try this recipe now but I noticed that Heston’s video uses a different ratio of chocolate to water. He states that his recipe uses “270 ml water to 350 grams chocolate” and yours uses 240 ml water to 265 grams of chocolate. His calculates out to 1:1.3 while yours is around 1:1.1 (water to choc). Could it be that this is the problem some people are having with it not turning out? I’m going to try 1:1.3 first and see how that turns out and will report back. Syl – I am not sure if the text below that video was written by Heston Blumenthal. I’m using the ratio in this article. Thanks for the link. I’ll give it a read later. It was co-written by Heston, so I guess that’s the ratio to go with. I’ll try that next time. I did try the 1:1.3 ratio and it seemed to work, though I’m not sure how I feel about it. First, I’m having trouble with the term “mousse” for this. IMO, it turned out like pudding, but less airy than the Jello brand I used to whip up. More like a thick and heavy creamy chocolate. Too thick to be a sauce. Taken for what it is, whatever the name, it’s good, but frankly for me, it’s just like eating melted chocolate (without the heat). The choco taste is just too strong for me. So I whipped up some whipped cream and mixed it about 1:1 and dropped another dollop of whipped cream on top. The cream mellowing out the chocolate taste suited my taste buds more and at the same time gave it a much more “mousse” texture. Maybe a 1:1.1 ratio will work a bit better to take the edge off the chocolate taste? Either way, sure beats the hell out of having to do the egg thing, so this recipe, with or without a couple of tweaks, is a keeper. Thanks! Syl – No, that ratio will not take the edge off at all 🙂 This chocolate “mousse” is definitely not for everyone. It is VERY chocolaty. Folding whipped cream and adding some sugar at the beginning would take the edge off. You’re on the right track. Oh my goodness… I saw this after finding a bar of chocolate I didn’t know I had, so I just Had to give it a shot.. I wasn’t expecting miracles.. but oh my goodness, it’s the most amazing mousse I’ve ever tried. As a vegan, chocolate mousse can be a tricky thing to make, so finding this makes things So much easier! Word of warning – Don’t try to use the over-beaten super thick chocolate mousse as truffles, by freezing them and then dipping them in chocolate.. the mousse gets runnier when frozen! It worked (my father had a nice selection for fathers day!) ..but they’re tricky to work with! Hannah-lyz – Glad you liked it. And what a fantastic idea to turn these into truffles. Too bad it doesn’t work well. Yum. The L’Orange cake looks fantastic. I’ve wanted to make this recipe for chocolate mousse for several months now… today was the day… I made it for my daughters birthday. Since she is gluten-soy-dairy-msg free this recipe fit the bill. I used Lindt 85% with 4 tablespoons of organic cane sugar and the one cup of water. This recipe delivers! It is creamy, rich, chocolatey, smooth …. simply put…AMAZING!!! I followed the recipe exactly and had no problems at all. 5 stars, no wait, 6 stars for this outstanding dessert. Teri – Glad you enjoyed! Spotted this on Pinterest, a million thanks to the poster and to you for the recipe. I really did not believe it would work, but it did! For UK folks I used tesco everyday chocolate, not brilliant quality but all I had in today, and only 2 tbs of sugar as the chocolate is quite sweet. I used a balloon whisk and would remember to chill the bowl properly next time…but even so it was not terribly hard work. I filled 8 espresso cup with a good bit left over. Next time I will use decent chocolate and maybe some Frangelico, oooh imagine the cups with a hazelnut dipped edge, OR in martini glasses?? Very retro! I have tried, and I have failed. But the chocolate soup it yields is delicious. But I will not give up, it looks way to good. amazing! i read the post, and it took me a few micro-seconds to decide on making it. it was just wonderful, and for a-chocoholic like me – it just broke the biggest rule i was ever taught about chocolate. 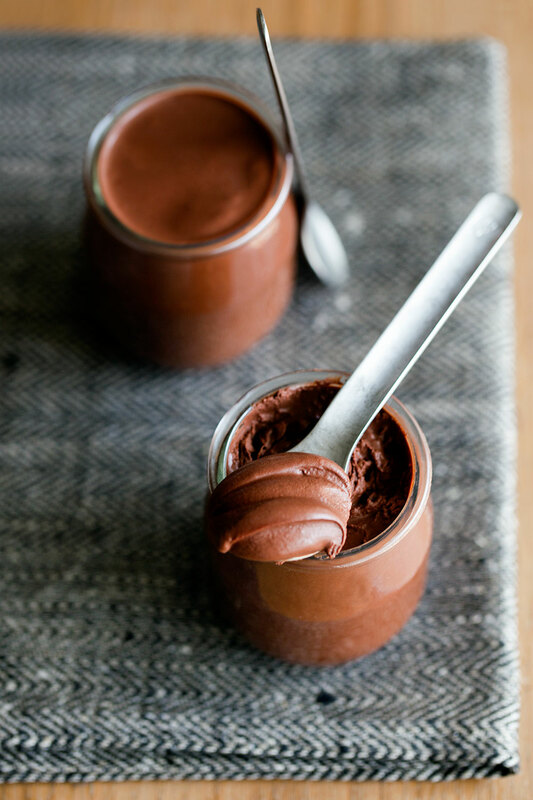 thank you for this amazingly easiest and quickest way to make chocolate mousse! I was wondering if anyone knew where to find the spoons in the photo with the chocolate mousse? amanda – Those two spoons are from a Lufthansa flight many many years ago. I have just made this and of what I tasted of it I think it’s turned out great 🙂 I did make it at 4pm and have scooped into 3 glass cups, they’re in the fridge on the door. Thinking of maybe running a fork under hot water for a few minutes and giving a quick whisk. I got to know this website only a few days ago and when I had a look at this chocolate mousse recipe it gave ma a kind of deja-vu. It reminded me of a recipe for “Pariser Creme” from the cook book “Donauland Kochbuch” of Alfred Kofranek (Vienna 1961), where equal weights of cream and chocolate are heated to boil and then whipped to cool and stiffen to give a spreading for filling and covering cakes. My next thought was, if it works with water, why not use wine, so tonight I had a try with some 130 g of 70% Lindt chocolate left over from glazing my Christmas Lebkuchen and the same weight of a Syrah red wine from the south of France which we had for dinner. I added a tablespoon of honey, heated it to the boil to drive off some of the alcohol and whipped it with a hand mixer until cold. It didn’t thicken on the first try, so I added about 20 g more chocolate, reheated it and started whipping again. On the second try, it behaved just as with the recipe for “”Pariser Creme”. The mass stayed a thick liquid until cold, got a bit lighter in colour after a while (some 5 to 15 minutes) and then thickened quickly within a minute or two. The mousse I got was overwhelming in taste, but a bit to bitter. A red wine with less tannin and more sugar or honey will certainly improve the taste. Still it was a fun experiment and I’m sure there is more you can try with the recipe (such as taking mocca or espresso instead of water). From my experience with “Pariser Creme”, putting the mixer at top speed during the thickening phase and putting in as much air as you can is important for getting a smooth texture. There is really no need to cool with ice water, as the air introduced with the mixer cools the liquid quite well. 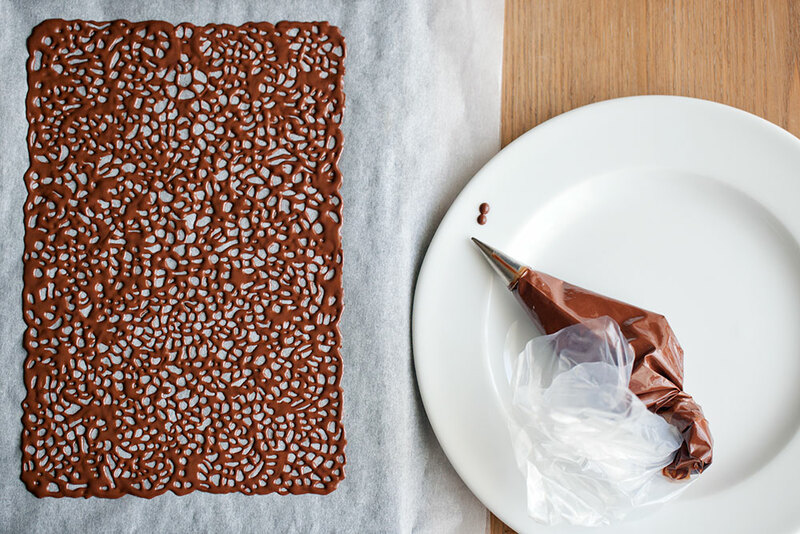 From my knowledge as a chemist, I think the recipe is actually an exercise in crystallizing cocoa butter and the time until the mousse thickens may vary a lot as cocoa butter has a strong tendency to subcool. If the mixture does not thicken, what may help is to scratch on the inner side of the bowl, add some shavings of chocolate (what chemists call seeding the crystallisation) or put in more chocolate, reheat it and have a second try. Georg – Wine is a fantastic idea. I’ll definitely try it. Thanks a lot for taking the time to share your experience in such detail. I have a question. I have a blog about all the fantastic things you can do in 5 minutes and I would really love to publish this recipe over there, but only with your permission if course. I will of course give you credit and link back to your website. Is that o.k? meital – Thanks for your interest, but I don’t prefer my recipes to be published elsewhere. You may use a photo with a link to the original post if you like. Will it go bad if I put it in the fridge because i dont want to eat it now ?? Aanchal – It won’t go bad, but become much thicker. So, if I leave it outside nothing will happen right ? Aanchal – This mousse is really at its best right after you prepare it. The mousse looks heavenly, just what I want to eat right now! Will be getting some good quality chocolate to make it tomorrow! omg!!! ever heard a mousse made up of only water and chocolate! must try making it at home….. Recipe says to use immediately, what will happen if we let it sit in room temperature for 24 h? Would the texture change? I am hoping to use it for cupcake filler. Nina – It is best eaten while still cold. Letting it sit at room temperature might change the texture. Since it takes 2 minutes to prepare, there really is no point in making it ahead. Hope it works for your cupcakes. I never realized chocolate mousse could be so easy! I guess this wouldn’t work for milk chocolate or white Chocolate? It would be nice to have all three layered in a glass. Death by triple chocolate!! Wow I was not expecting you to say water! 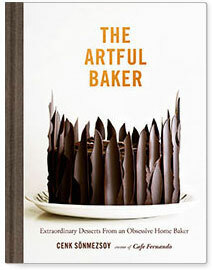 Awesome recipe and awesome photos. 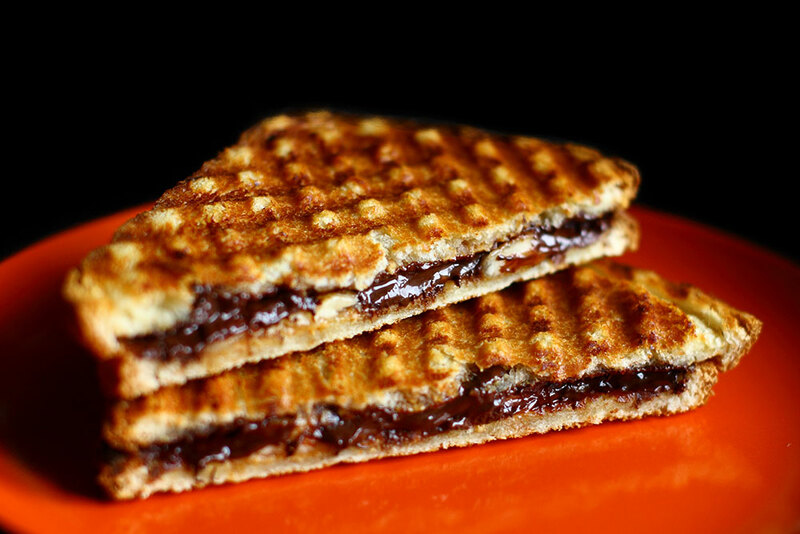 I am hungry for a chocolate peanut butter banana sandwich now, thanks. Oh my gosh! I couldn’t believe it so I tryed 10 minutes ago and It is so amazing!! I had only medium quality chocolate for baking and it was already really nice! thanks so much for that! I was thrilled to find Valrhona chocolate locally and I’ve been saving it specifically for this mousse. Every neuron in my being was firing after eating this. If you do not absolutely love chocolate, you will not appreciate this. If you do, it’s worth splurging and buying Valrhona. It is an absolutely amazing chocolate with undertones that reminded me of raspberries in one bite and orange in another. Wow! Thanks so much for this glorious treat! I actually don’t like chocolate mousse but it was delicious. Nice one ! This looks amazing! My question is, can it be done with white chocolate as well? Tara – I’m not sure. You’d have to try. You said “serve immediately” so what happen if i refridge it overnight? Uwill the texture go wrong? – thanks! H. Yen – Yes, it will thicken much further. I tried the mousse…..the recipe was lil disappointing…..as it took much time to thicken up nd it took more than an hour to set…….where cud I be wrong……Help!!! I am a pro chef and fell in love with chocolate 20 years ago. For an even faster and no elbow grease required. I use above recipe but used my MOSA Cream Whipper. 1. I melted 70% Criollo Cocuy Colombian chocolate and water to 50 degrees Celsius. 2. Poured in to my halve a pint bottle. 3. Used 1 8g N2O charge and shake it 10 times. 4. Immerse the whipper in ice cold water for 5 minutes. 5. 10 more extra shakes. 6. Voila! perfect texture it just melt and disappear in the mouth. Hope it helps anyone having trouble with the blender method. I saw Blumenthal’s YouTube video and tried this before, I think I still prefer the richness of a classic Mousse, but for a fast and potential Vegan Mousse substitute it will work for sure. but after seeing this Pin, I thought I’d try making this with my excess french press coffee from my breakfast coffee that’s left over. Viola! Mocha Chantilly Creme! Mahalo!. Maybe do a vegan version using Coconut Cream and water with chocolate. How much chocolate and how much water. Jo Ann – It is stated in the recipe above. I made this today (after seeing recipe posted on thekitchn) but I had no success at first when whisking by hand over the ice bath. I used 60% Ghiradelli chocolate morsels and was worried the chocolate choice was the issue. I gave up and put the bowl of liquid chocolate over a boiling pot of water (double boiler) and melted an additional 50 grams of chocolate into the amounts listed in the recipe. I then tried whipping again but switched to a hand mixer where it finally thickened!